Single room with shower and toilet, small desk, cable TV / SAT -TV, wireless Internet, in the bathroom there are fresh hand and bath towels, as well as hair dryer and soap. Bathrobes for the sauna and sanarium visit will be provided on a deposit basis. You will arrive and be welcomed with a warm "hello". Hospitality comes first in our family-friendly farm guesthouse. Throughout the house you will quickly feel the love and closeness to nature. The rich breakfast buffet with some home-made farm products leaves nothing to be desired and you can start your day full of energy. 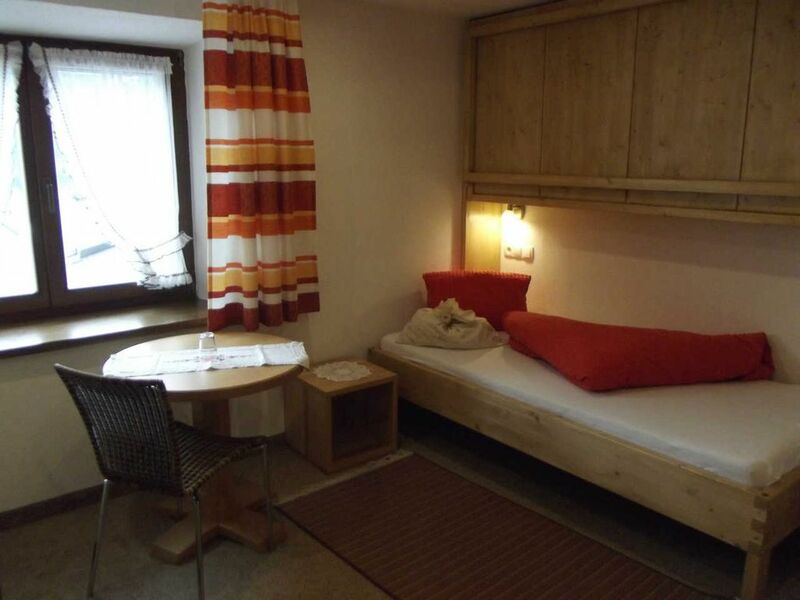 The Landhaus Gasser is located in the municipality of Wenns and is the ideal starting point for your holiday in the holiday region Pitztal. With the central location you can start without stress and hectic in all summer or winter activities. The bus stop is only 50 meters away, parking and a garage are located at the house. In addition to shops, restaurants and cafes are nearby. Enjoy your holiday in cozy, spacious and lovingly furnished rooms or apartments. Do you have anymore questions? Mail us!